After revealing a customizable controller earlier this month, Razer has announced a new customizable mouse for FPS gamers. The Razer Basilisk is a mouse made specifically for fast-paced gaming featuring a 16,000 DPI sensor (the same sensor used in the DeathAdder Elite and Lancehead Tournament Edition). Mouse travel up to 450 inches per second can be smoothly detected. Keeping with the trend of making gaming peripherals more customizable, the mouse provides a scroll wheel with adjustable resistance courtesy of a dial underneath. A removable thumb clutch is also present and is intended to be user-programmed. Razer touts the thumb button being useful for adjusting DPI on the fly, push-to-talk or other key-binding for in-game use. If the thumb clutch is not for you, a rubber cap is included so that you can remove it completely. According to Razer CEO Min-Liang Tan, "this is a mouse designed for tweaking that last ounce of performance out of each gamer’s specific FPS playstyle. For games like CS:GO, PUBG, Quake, and the likes, there’s nothing better." While mice do require a large amount of personal preference to be taken into account, it is likely that the Basilisk will be plenty suitable for games requiring fast movements. The Basilisk uses Razer Synapse 3 software for custom RGB lighting, button mapping, calibration and more. All settings can be saved to the mouse itself so you can take them with you on the go. Unfortunately for left-handed users, this mouse is currently only offered in a right-handed configuration. 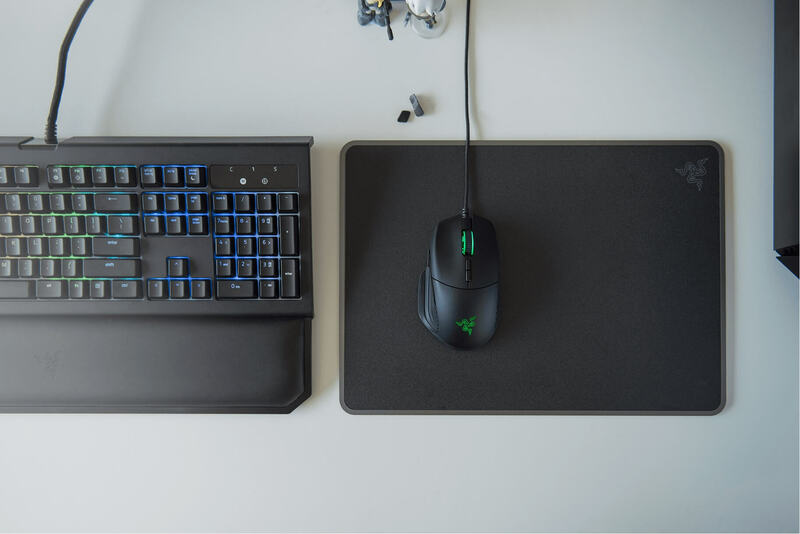 The Razer Basilisk will be available from RazerStore.com beginning in September at a suggested retail price of $69.99 (comparable to the DeathAdder Elite).